Many leading organizations are actively making use of communication technologies like PBX or Private Branch Exchange which helps their employees and members of the business network to access outside lines, helping them to make calls outside the network. The technology has also made it easier for employees within an organization to connect with each other using easy-to-remember three or four-digit extensions. Business of any size will have considerable benefits of cheaper calls when making a call within a network. This eliminates the requirement to set up an external landline phone on every desk of the office. For a communication channel to be effective it needs to be up-to-date to meet all the needs of the business. The most updated communication channels available in the market includes like Asterisk, FREE pbx, Elastix, PIAF, Trixbox Support Long Island, Telephone System Installation Long Island and VoIP Long Island. Here we will show you some of the reasons why Alpha Computer Group recommends you to upgrade your business telephone system to Hosted SIP PBX technology. Alpha Computer Group uses only Cisco, Asterisk, Mitel, NEC, Avaya, Elastix, Free PBX, Grandstream, Snom, VoIP Phones and VoIP Certified technicians with more than 10 years experience and they are experts at installing and maintaining business telephone systems on Long Island and surrounding areas. Alpha Computer Group sales professionals are up-to-date and highly skilled at recommending and providing Long Island business telephone system clients with technical assistance and Long Island business telephone system advice for well over a decade. In that time, Alpha Computer Group has gained a reputation among VoIP Long Island clients as the “go to” company for expertise in sales of business telephone systems in Long Island, installation of business telephone systems on Long Island, upgrades to business telephone systems on Long Island, as well as maintenance and service. Our website is visited by hundreds of business telephone systems Long Island information requests every day. Enterprises of all sizes depend on Long Island Business Phone Systems for unified communications that improve efficiency, collaboration, customer service and ultimately competitiveness. Unified Communications simplify the proliferation of technologies that businesses deal with every day. Our people-centric solutions integrate voice, video, data and cloud, enabling users to communicate and collaborate in real time, in the mode best suited to each interaction. Give us a call today at (877) 608-8647 and speak with one of our business telephone systems experts in the Long Island area. Is your business looking to cut costs on your PBX phone system? Would you like to compare business phone system prices from phone dealers in New York City, Long Island? Are you adding or replacing a business VOIP or business phone service in New York City, Long Island? We can save you tons of time and money! Submit a request to compare business phone prices. Searching for a new business phone solution in New York City, Long Island? Would you like to compare business VOIP phone prices and options? Looking to save money on PBX phone systems? Would you like to compare business telephone pricing from providers in New York City, Long Island? Searching for a small business phone system that fits your budget? Do you have an aging phone system in Long Island that is full of issues? At Alpha Computer Group we offer both cloud and traditional business communication systems and can help you replace that aged out and broken down phone system with the appropriate technology that can cover your business needs and take you to the next level. We are a Long Island owned and operated business since 2004, which provides on-site installation, service, and support. We come to you with our 30 years of experience and with a staff of highly trained, certified, and experienced technicians that can simplify and integrate your business communications, data and networking technology and guarantee the most out of your new system and provide you with continued support in the future that will help you establish a competitive edge, improve your efficiency and maximize your profits. Our broad base of quality phone carriers allows us to provide and implement telecom solutions in Long Island that will fully meet your demands. We strive to strengthen our position as the premier provider of business telecommunication technology in Long Island by helping one business at a time. We are dedicated to becoming long-term partners with you by understanding your business goals and linking our skills and resources to your needs. Our phones are always available, we are a timely and reliable company and we pride ourselves in the fact that we understand that every customer is different and whether you’re looking for a one line system or one with more than one hundred lines, our knowledgeable staff can address any of your questions and concerns and will assist you with any of your communication needs. We also offer a complete and thorough on-site consultation at no charge so we can accurately evaluate your needs and develop your perfect solution. Whether you’re moving your office to a new building or want to completely re-tool your system from the ground floor up, we have just what your business communication system needs. In addition to excellent installations, we offer on-site training for the systems we install, so your staff will know all about the functionality of their new hardware. Financing options are available for those who qualify, and we offer warranties for the systems we install. Take advantage of our 24/7/365 live support at no additional cost. • Cabling: A critical part in any communications and network infrastructure, without proper cabling a healthy communications environment is impossible. Bad cabling can hinder your internet speed, give you a spotty connectivity and packet loss. Our professionals will design and install a sturdy system that will avoid you costly re-cabling. • Hosted PBX: their advantage consists in the fact that they furnish advanced telephone system features as a service over the internet. • Bandwidth efficiency – What this means is that with VoIP, you can actually fit more information into your telecom system. This includes phone calls, as well as other data streams with your service. • Unified Communications Capability – With VoIP service, not only can you transmit voice over your phone system, but you can also transmit video (i.e. video conferencing), faxes, e-mail, voice-messaging VoIP service, and more. • Cheaper, and easier system upgrades and modifications service than non- VoIP service. • Mobility: (Great for sales people and traveling professionals) The ability to use your smartphone as an extension of the office phone system, including the ability to have business calls automatically directed to your cell phone and make outbound calls from your smartphone as your office number. • Portability: The ability to use any computer or office phone, as your personal extension. • Flexibility: The ability to redesign your phone system (how calls are routed and handled) on the fly by simply logging into your VoIP provider’s dashboard. • Just Cool: Having voicemails sent to your email as text messages, find me/follow-me which rings your mobile and home phones as well, video calling, integration with third party applications like CRM, and an e-fax. What is your current network capacity: can it handle the increase in data? Can it sustain network flow? Do you have the proper LAN (local area network) setup for VoIP? Without a network, you won’t have the infrastructure to use VoIP services. 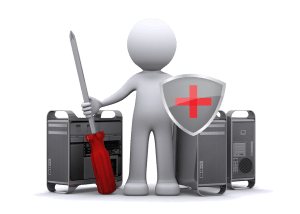 Have your network administrators give your network a check-up or call the Alpha Computer Group office so we can check this important requirement off the list. Can your bandwidth handle it? Know the bandwidth available to your small businesses. Each and every business has its own internet needs and requirements. Before you switch to VoIP, you need to make sure your current connection can handle VoIP service alongside your current internet use. What are your company’s calling habits? How much international calling and long distance do you do? What type of plan do you need? Do intensive research to find the best VoIP plan for your business. Or Alpha Computer Group of Long Island can help you determine what kind of phone system can work for your business. What features do you need in your equipment? Once we determine your appropriate features and services we can find the right fit for you. At Alpha Computer Group Long Island we are proud to offer some of the best phone systems in Long Island but we are equally happy to help you out with a thorough on-site consultation so we can help you find your perfect solution. So either you’re moving to a new building or want a completely new system give us a call today. How to choose a Phone system for your business? There is no doubt that your business’s phone system is the backbone that provides a direct line to customers, key contacts and suppliers. This is why the telephone system is most often than not the first equipment bought. With so many different options, the constant digital technology evolution and the flexibility in some phone systems, Alpha Computer Group of Long Island can find the perfect choice for your business and its impending growth. Consider the features available in the market: hold, transfer, redial, intercom and conferencing. Many special features are also available: music-on-hold, voicemail, automated attendant, paging, hands free operation and call restrictions. Some additional features might help improve business productivity by making it easier for you to do business with your customers. For instance, remote location features allow employees in separate locations to call each other using internal extensions. Newer features offered by many business phone systems include find me/follow me (which routes calls among a list of numbers until it is answered or is sent to voice mail), interactive voice response, shared message boxes, unified messaging and more. • How many lines will you need? • How easy is it to use? • How fast is your business growing? • What other equipment do you plan to use? • Can this system be expanded easily as your needs change? • How many handsets and locations will you need? • What will the power requirements be? • Will they work in case of a power outage? We can help you understand your options, Our Long Island phone support technicians can assist you with systems issues, training, remote changes, technical support, and configuration changes to name a few. We offer free consultations and competitive rates for IP Phone Systems. Alpha Computer Group is here to handle all of your technology needs – 24 hours a day, 7 days a week. Contact us today @ (877) 608-8647. Many leading organizations are actively making use of communication technologies like PBX or Private Branch Exchange which helps their employees and members of the business network to access outside lines, helping them to make calls outside the network. The technology has also made it easier for employees within an organization to connect with each other using easy-to-remember three or four-digit extensions. Business of any size will have considerable benefits of cheaper calls when making a call within a network. This eliminates the requirement to set up an external landline phone on every desk of the office. For a communication channel to be effective it needs to be up-to-date to meet all the needs of the business. The most updated communication channels available in the market includes like Asterisk, FREE pbx, Elastix, PIAF, Trixbox Support Long Island, Telephone System Installation Long Island and VoIP Long Island. Here we will show you some of the reasons why Alpha Computer Group recommends you to upgrade your business telephone system to Hosted SIP PBX technology. Alpha Computer Group uses only Cisco, Asterisk, Mitel, NEC, Avaya, Elastix, Free PBX, Grandstream, Snom, VoIP Phones and VoIP Certified technicians with more than 10 years experience and they are experts at installing and maintaining business telephone systems on NYC and surrounding areas. Alpha Computer Group sales professionals are up-to-date and highly skilled at recommending and providing NYC business telephone system clients with technical assistance and NYC business telephone system advice for well over a decade. 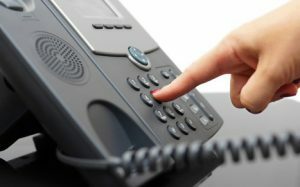 In that time, Alpha Computer Group has gained a reputation among VoIP NYC clients as the “go to” company for expertise in sales of business telephone systems in NYC, installation of business telephone systems on NYC, upgrades to business telephone systems on NYC, as well as maintenance and service. Our website is visited by hundreds of business telephone systems NYC information requests every day. Enterprises of all sizes depend on Long Island Business Phone Systems for unified communications that improve efficiency, collaboration, customer service and ultimately competitiveness. Unified Communications simplify the proliferation of technologies that businesses deal with every day. Our people-centric solutions integrate voice, video, data and cloud, enabling users to communicate and collaborate in real time, in the mode best suited to each interaction. Give us a call today at (877) 608-8647 and speak with one of our business telephone systems experts in the Long Island area. Would you like to compare business phone system prices from phone dealers in New York City, NYC? Are you adding or replacing a business VOIP or business phone service in New York City, NYC? Searching for a new business phone solution in New York City, NYC? Would you like to compare business telephone pricing from providers in New York City, NYC? Do you have an aging phone system in NYC that is full of issues? At Alpha Computer Group we offer both cloud and traditional business communication systems and can help you replace that aged out and broken down phone system with the appropriate technology that can cover your business needs and take you to the next level. We are a NYC owned and operated business since 2004, which provides on-site installation, service, and support. We come to you with our 30 years of experience and with a staff of highly trained, certified, and experienced technicians that can simplify and integrate your business communications, data and networking technology and guarantee the most out of your new system and provide you with continued support in the future that will help you establish a competitive edge, improve your efficiency and maximize your profits. Our broad base of quality phone carriers allows us to provide and implement telecom solutions in NYC that will fully meet your demands. We strive to strengthen our position as the premier provider of business telecommunication technology in NYC by helping one business at a time. We are dedicated to becoming long-term partners with you by understanding your business goals and linking our skills and resources to your needs. Our phones are always available, we are a timely and reliable company and we pride ourselves in the fact that we understand that every customer is different and whether you’re looking for a one line system or one with more than one hundred lines, our knowledgeable staff can address any of your questions and concerns and will assist you with any of your communication needs. We also offer a complete and thorough on-site consultation at no charge so we can accurately evaluate your needs and develop your perfect solution. Whether you’re moving your office to a new building or want to completely re-tool your system from the ground floor up, we have just what your business communication system needs. Do intensive research to find the best VoIP plan for your business. Or Alpha Computer Group of NYC can help you determine what kind of phone system can work for your business. What features do you need in your equipment? Once we determine your appropriate features and services we can find the right fit for you. At Alpha Computer Group NYC we are proud to offer some of the best phone systems in NYC but we are equally happy to help you out with a thorough on-site consultation so we can help you find your perfect solution. So either you’re moving to a new building or want a completely new system give us a call today. There is no doubt that your business’s phone system is the backbone that provides a direct line to customers, key contacts and suppliers. This is why the telephone system is most often than not the first equipment bought. With so many different options, the constant digital technology evolution and the flexibility in some phone systems, Alpha Computer Group of NYC can find the perfect choice for your business and its impending growth. We can help you understand your options, Our NYC phone support technicians can assist you with systems issues, training, remote changes, technical support, and configuration changes to name a few. We offer free consultations and competitive rates for IP Phone Systems. Alpha Computer Group is here to handle all of your technology needs – 24 hours a day, 7 days a week. Contact us today @ (877) 608-8647. Alpha Computer Group is a leading provider of business phone systems in NYC, for companies ranging from small to large and has hundreds of office phones to choose from. We sell, install, service, and maintain telephone systems from Avaya, Nortel, Asterisk PBX, Elastix MT, Elastix PBX, PIAF, FREEpbx, Trixbox, VoIP and Zultys in NYC. Alpha Computer Group believes that your company’s communication system is the link to the world. Nothing is more important than a voice communication system that helps you manage your business effectively and efficiently. Alpha Computer Group is a full service telecommunications company and an industry leader in small, midsize, and enterprise business phone systems. We understand the importance of telecommunications in ensuring your business’ uninterrupted success. Whether your company is large or small, a responsive business phone system – such as Avaya IP Office, or Asterisk PBX/Elastix PBX – backed by comprehensive communications support isn’t just another piece of overhead; it’s foundational to your operations. That’s why we’ve been helping NYC businesses with their telecommunications needs for more than 10 years. Alpha Compute Group provides the infrastructure, seamless operation, and maintenance to ensure your company’s office phone system is running smoothly. We provide you with the necessary technology and expertise for seamless, state-of-the-art telecommunications, networking, and support systems. At Alpha Computer Group we excel in providing voice communications systems to businesses of all sizes that offers the flexibility to meet today’s needs and adapt to tomorrow’s challenges. 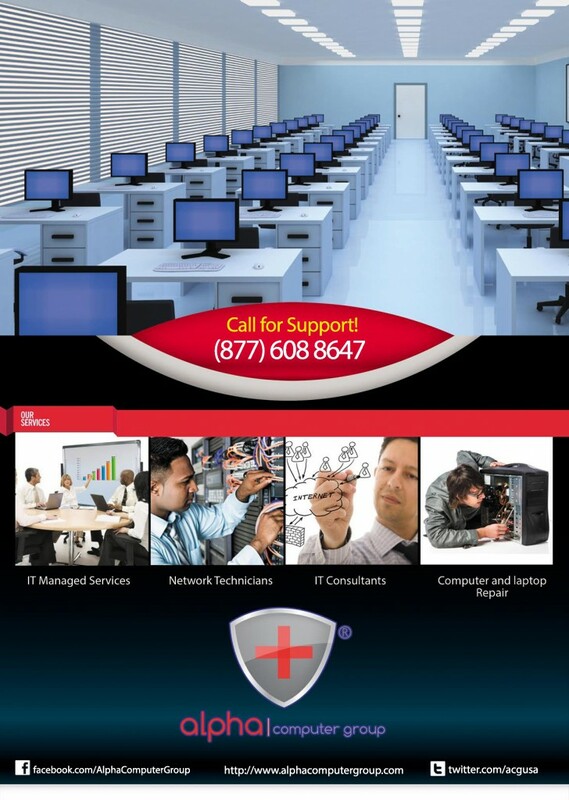 Business phone systems, voice & data cabling, and information technology (IT) support and Design. These are the products and services that have made Alpha Computer Group a leading name in the telecommunications industry and in the NYC, Southern California area. But our reach doesn’t stop there. We also have the experience and resources to extend our expertise in project management and implementation to clients with multiple locations across the nation. Alpha Computer Group was created to provide a single point of contact for all your telecommunications needs while delivering industry leading customer service and support. From IP and cloud based business telephone systems, to video surveillance, network cabling and access control, Alpha Computer Group has demonstrated a commitment to customer service excellence in The NYC, and Los Angeles since 2004. 100% Customer Satisfaction for Phone Systems NYC! Alpha Computer Group is a NYC based communications system integrator that services customers in and around the extended region for Southern California and Los Angeles. We provide support on – premise business telephone systems, data networks and their associated peripheral equipment including voice messaging, call processing, paging and call management systems. In addition, we represent the services of a number of leading network providers and can engineer and complete the delivery of voice and data T1 circuits, frame relay, networks, Multiprotocol Label Switching (MPLS), analog copper lines and Session Initiation Protocol (SIP). Alpha Computer Group was established in 2004. We offer full service installation and maintenance for all our Business Phone Systems throughout the NYC Area. Business telephone systems in NYC is something that Alpha Computer Group has been passionate about since our first day of business. Over the years of installing phone systems in NYC, we have learned that our focus needs to be toward becoming partners with our customers in NYC. By partnering with them throughout the entire process, from initial consultation to installation, training and follow-up, we focus on our customers needs. Over the years of installing business telephone systems in NYC, we have had the opportunity to partner with some amazing businesses. Alpha Computer Group carries a complete line of business telephone systems, we can provide you with all the commercial and residential equipment you need. From small business communication systems to Internet voicemail services, we have it all. Alpha Computer Group’s expertise as business communication specialists is second to none. We have Telecom Engineers, IT Consultants, Security Consultants, and BiCSi RCDD’s on staff. Alpha Computer Group can assist your company during the stressful process of relocating your business. This includes the relocation of your existing telecommunication equipment, telephone system, security cameras and upgrade if needed to a new system .We can take care of your low voltage cabling needs also. With Voice over IP (VoIP) technology, you can connect your remote offices and users affordably, providing them with low-cost long distance calling, voice mail, call forwarding, email and internet access. Plus, you can avoid paying duplicate costs for installing, operating and maintaining two separate voice and data networks! So your money-savings are both up-front and ongoing. Our Telephony services puts high-quality voice and data on the same network (QOS) — reliably and affordably. And it is incredibly easy to administer — you can manage your phone systems from anywhere on the network, across the street or across the enterprise. Utilizing VoIP, companies with multiple locations can link everyone together as if they were all down the hall from each other. Incoming calls can also be redirected to improve call response effectiveness and overall customer service quality. Long distance charges can be virtually eliminated, because calls to your office across the country are handled just like calls to the office next door. We are a leading Telecommunication Company in NYC offering On-premise and Hosted VoIP Business Telephone Systems. Dial Tone Services – Save substantially on your dial tone services including long distance, internet, fax and interoffice communications as well as other monthly fees associated with local carriers. Increased Mobility – In the past, business phone systems were stationary and stagnant; you could only get your calls or receive voice mail alerts if you were sitting at a desk in your office. With VoIP systems, you can have the freedom to take your phone anywhere you go and utilize it wherever internet access is available, you can even integrate your cell phone or PDA to take advantage of the cost savings benefits there as well. Application Integration – Integrate many of your computer applications such as email, fax, video/audio or web conferencing with your VoIP phone system. VoIP business telephone systems are becoming increasingly popular because of their cost saving benefits and flexibility. But did you know that a full VoIP system is not right for every business in every situation? When deciding to deploy VoIP technology there are many things to consider that factor directly in to the return on investment of the project. We offer full VoIP and Hybrid VoIP PBX’s. With a Hybrid VoIP PBX we can utilized Plain Old Telephone Lines (POT’s Line), PRI, BRI, T1, E1 and much more. We are NYC’s number 1 communication systems provider. VoIP stands for Voice Over Internet Protocol and it converts traditional voice technologies into standard IP packets. Once converted, voice traffic can travel across any or all VoIP enabled networks. The benefit of this technology to business owners is that now traditional voice/data networks can be combined on a single network, significantly decreasing monthly spending with your local dial tone carrier. Contact us about more cost saving benefits of VoIP phone systems. Choosing a Hybrid business telephone system can be one of the best decisions that a business owner can make in regards to their communication needs. Hybrid phone systems can be designed to be an all-IP solution, an all-digital solution or a combination of both. They are truly the best of all worlds. Take advantage of all the cost saving benefits of VoIP without having to invest in a costly pure IP infrastructure. Call the specialists at Alpha Computer Group today and allow us to assess the needs of your organization and create a custom solution for you that focuses on functionality & return on investment (ROI). With over 10 years of experience in the business communications field, you can feel secure knowing that Alpha Computer Group will provide reliable and honest service 100% of the time. There are many benefits to choosing a hybrid business phone system that most business owners simply do not know about. At Alpha Computer Group our goal is to educate you on the technologies available so that you can make a wise decision in regards to your communication needs. Take a look at some of the benefits of a Hybrid system below and for more information simply give us a call. Flexibility – A Hybrid system is the most flexible product available. They do not require you to take an “all or nothing” approach when deploying VoIP technologies. They can work with existing infrastructures, become a pure IP solution, an all-digital solution or a combination of both – truly the best of all worlds. VoIP Advantages – Deploy VoIP only where it makes sense. Take advantage of all of the cost saving benefits that are associated with VoIP without having to make a costly investment in a “pure IP solution. Connect multiple offices via VoIP, have a centralized receptionist, centralize voice mail, have digital extension dialing between offices, create a centralized call center and centralize your system management. Alpha Computer Group has been in the New York City interconnect business for over 10 years. We are committed to providing a prompt, expert and personal response to your entire telephone and computer network wiring needs. We service Long Island, and ALL OF NYC. A business phone system is one of the most important tools in any organization. Alpha Computer Group understands this and has developed a team of specialists to provide sound advice to business owners who are planning to expand their current system or planning to build a new system from the ground up. To receive an estimate, give us a call at 1-877-608-8647. Tags: NYC Telephone Systems. NYC Phone Systems. NYC Business Telephone Systems. NYC Business Phone Systems. NYC VoIP. NYC VoIP Phone Systems, NYC VoIP Telephone Systems, NYC VoIP Business Phone Systems, NYC VoIP Business Telephone Systems, NYC Phone System Installation, NYC telephone System Installation, NYC VoIP Phone System Installation, NYC VoIP Telehone System Installation, NYC Business Phone System Installation, NYC Business Telephone System Installation, NYC Business VoIP Telephone System Installation, NYC Business VoIP Phone System Installation, NYC Asterisk Support, NYC Asterisk PBX Installation, Asterisk PBX Support NYC, Elastix MT NYC, Elastix PBX Support NYC, Elastix FREEpbx Support NYC, VoIP Support NYC. Different types of business have their own unique needs when it comes to Business Phone Systems NYC. For business that are looking at new communication set-up, there are overwhelming amount if options available. When you know that there are different types of Business Phone Systems NYC available, you can make best decision for your business. Phone systems are just like any other technologies, in the sense, they have evolved alongside other popular technologies. Every business has telecommunications needs, and one of the best solutions is the Voice over Internet Protocol, or VoIP, phone system. This advanced technology supports voice communication over established internet connections. NYC VoIP phone systems are flexible, powerful, and mobile to meet the communication needs of any growing business. VoIP technology provides many benefits to businesses of every size through lower phone expenses, including long distance charges and equipment costs. The phone system can be configured in any size network to accommodate all communication needs. Protect your business against the risks of technology, cost and obsolescence, by investing a VoIP phone system. Alpha Computer Group provides the latest technology in phone systems for those in the New York City area. We have all kinds of business services pertaining to communications, including a cutting edge VoIP phone system. As a phone system provider, we can guarantee that we have what you’re looking for. Searching for a high-quality provider to realize your data networking needs can be an extremely difficult task. Alpha Computer Group’s specialization allows us to offer a wide variety of Data Networking System requirements including data switches, data routers, wireless access points, structured cabling, network services, video surveillance and videoconferencing services. Whether your data network needs maintenance or a complete overhaul, our Network Architect Engineers are ready to assist you. How Does Your Company Communicate and Connect? Is your company collaborating and communicating efficiently? Alpha Computer Group leads the NYC area for small business IP phone systems and collaboration solutions. Alpha Computer Group provides NYC fiber optic Internet to companies who want to work faster, smarter and more collaboratively. The necessity of quality small office phone systems often gets overlooked and offices remain equipped with outdated communication equipment, hindering productivity and inflating monthly operational costs. If you’re ready for smarter and more effective equipment in your office—from VoIP for small business to data storage solutions and more — contact Alpha Computer Group today. Companies in NYC leverage modern VoIP business phone systems provided by Alpha Computer Group, and enjoy reliable call quality, advanced phone features at a significantly lower cost. Alpha Computer Group specializes in IP PBX phone system from Cisco, Asterisk, Elastix, Freepbx, PIAF, and many more IP PBX systems delivering features that overcome the limitations inherent in traditional PBX business phone systems. Installing a small business VoIP phone system minimizes your telecommunications expenses and provides better productivity tools for your company. Alpha Computer Group’s team of experts deliver high quality IT solutions for businesses like yours. From comprehensive assessment, to design, to installation and the full support of the implemented Cisco phone systems for small business. We can also reverse engineer Cisco phones to work on Asterisk phone systems via SIP or SCCP. Our Unified Communications solutions combines a new Cisco VoIP phone system with comprehensive data, wireless and security services to create a seamless access experience for all of your company’s communication needs. We have years of experience with Cisco Business Phone Systems; so you’ll not only receive industry-leading communications services, but also reliable office productivity tools along with unparalleled IT support. Alpha Computer Group doesn’t just bring you cutting-edge VoIP small business PBX phone systems, we work with you to enhance your business operation by leveraging our end-to-end IT solutions. Alpha Computer Group is also a leading NYC Internet service provider, data storage specialist and partner for corporate IT consulting. We offer Internet service all across the U.S. Businesses rely on us 24/7 for their high-speed fiber Internet in NYC and all across the U.S. Our unparalleled security and storage solutions are based on industry leader’s products from Cisco and Barracuda. Our IT solutions ensure that your data and network are always safe and operate on fast speed fiber optic Internet lines. Our support services are unmatched with great reviews from our valuable clients. These are pretty old and can be found in many older and small businesses. They are designed to be used for up to 40 users. This Business Phone Systems NYC typically provides only basic features such as hold, line switching, and line management etc. PBX or Private Branch Exchange is a Business Phone Systems NYC that is based on private phone networking technology and enables the business to manage up to hundreds of phone lines and numbers. This is a good choice for organizations with exceptionally large number of employees and need multiple phone lines. PBX makes it easy for different departments of the organizations to network offices together. This is a service where PBX system is hosed and managed by the provider. The entire system is housed offsite. This is a very economic situation since it involves less upfront investment for the company. These are essentially specific business features and packages that are developed for business by many major telecommunications provider. These services cost additionally to your monthly bill. Any phone system that you see out there in the market is based on either of the two technologies, i.e. Analog or Digital. This technology is used traditionally by landline phone system and is offered by phone companies. It is also commonly referred as PSTN or Public Switched Telephone Network. Majority of business are familiar with PSTN since it uses existing lines strung by telephone companies. It is relatively new Business Phone Systems NYC technology and uses network connection to transmit voice communication. One of the most common examples of this system is VoIP. Though there are four main systems that exist, recently majority if business are seen increasingly adopting digital systems like VoIP. This has led to essentially merging of Key and PBX together into one platform. 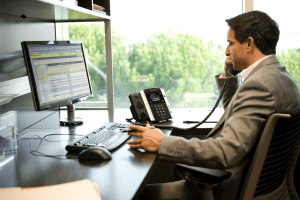 Many Business Phone Systems NYC providers are also popularly offering scaled down versions of PBX over network connections and refer to it as Key system. When you are finalizing the new phone system for your company, you should ask your employees and people who will be using the system. Find out the features that will help them perform their jobs better and with best of their abilities. For example you may need wireless devices for some departments to help them better talk to their customers, while other may need more unified communications platform which may even include text and instant message. The best would be to prepare a list of features that your business will need in order to function better and perform well. Contact us today @ (877) 608-8647.